Isfahan is the third largest city in Iran With a population over 2 million people (In 2011). 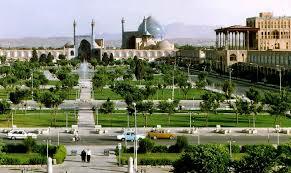 It is also the capital city of Isfahan Province. Isfahan‘s history goes back to 600 years B.C. But most of its fame goes back to Safavid Era. Isfahan‘s prosperity is mainly originated from Zayandeh Rood, the river which flows through it. In 16th Century, Shah Abbas I, moved the capital city to Isfahan and thus appointed it as the land of Shitte‘s Islam. As a 16th century half-rhyme says: ―Isfahan is half the world‖ (Esfahan, nesf-e jahan). Named asThe Cultural Capital Of The Islamic World and with its unique architectural masterpieces, it definitely worth a visit!